Gothminister was formed by Bjorn Alexander Brem in 1999. In 2000 joined the keyboardplayer Halfface, followed by the guitarplayer Machine and Dementia aka the photographer Sandra Jensen (who developed the art direction of the band). Gothminister released the debutalbum “Gothic Electronic Anthems” in 2003 and got fantastic critics in both German and international press, and Metal Hammer UK headlines read “the undead are reborn”. 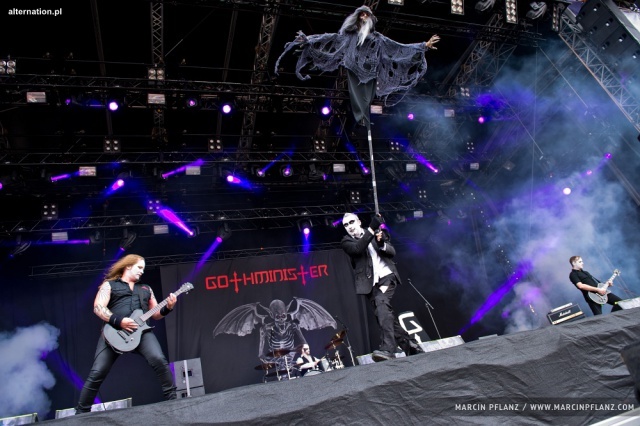 Gothminister have had several successful clubsingles, and on top the hit “Angel” which entered the top 10 Deutche Alternative Charts. 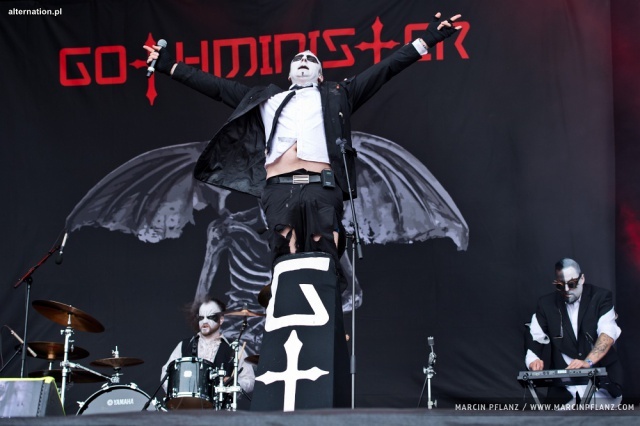 Gothminister played all the big German Festivals like WGT, Dark Storm Festival, two years in a row invited to the M`Era Luna Festival, and performing for over 10.000 people at the Schattenreich Festival at ARENA in Overhausen together with bands like Oomph! , In Extremo and Within Temptation. Gothminister had great success and the debutalbum was re-released by Drakkar Entertainment GmbH/BMG in November 2003. Since then Gothminister has two new members; keyboardist Android and livedrummer Chris Dead. With the next album the music of Gothminister is more than ever about heavier guitars and dark metal. The electronic elements are still there, but more in the background, to make room for fantastic orchestral pompous moods. Gothminister will be touring all over Germany and the rest of Europe in order to promote the new masterpiece album: “Empire of Dark Salvation”.